A few weeks ago we blogged about a new resource from Idealware designed to help non-profits understand and create infographics. So this week, instead of an Apricot Jam link round-up, here are three infographics that offer insight - and maybe inspiration too - for non-profits and membership organizations about getting more social. We understand that the staff and volunteers managing small non-profits and membership organizations are time-strapped and juggling multiple priorities. But if you’re having trouble finding the time you’d like to devote to social media, you might want to check out this infographic - Rock Social Media in 30 Minutes a Day. 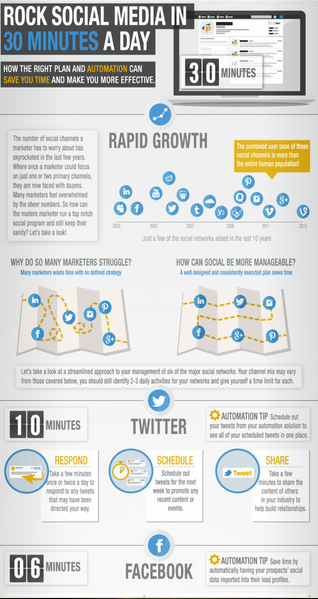 Created by Pardot (an ExactTarget company), this infographic breaks down your daily social media must-dos into an actionable 30-minute plan. 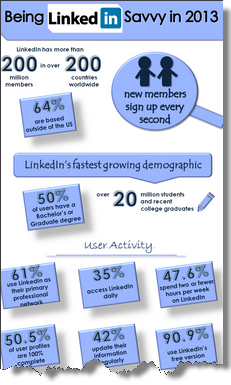 Iliyana Stareva (Iliyana’s Blog) developed this infographic to help persuade you, and your organization about why you have to be on LinkedIn. Stareva “created a detailed infographic that shows quite a few relevant facts and figures about the platform and how members make use of it.” Click on the image to view the full infographic. John Haydon, social media guru and author of Facebook for Dummies, blogged about an infographic that offers some fun facts on Facebook: How To Post Smart And Successful Facebook Page Updates [Infographic]. 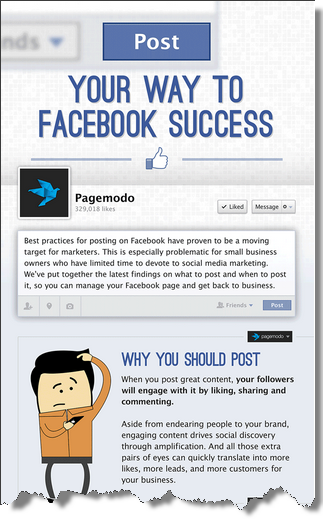 Created by Pagemodo, this infographic “covers the basics of how content functions on Facebook.” Click on the image to view the full infographic.